In our hectic and sometimes stress-filled day, focusing on our breath for a minute can calm us and create a space for introspection. As Buddhist Monk Thich Nhat Hanh reminds us, “Feelings come and go like clouds in a windy sky. Conscious breathing is my anchor.” When we take a conscious breath, it puts us in the present moment where we can observe our inner lives. So what is an inner life, exactly? An inner life is composed of thoughts and emotions. Thoughts lead to emotions like anger, fear, frustration, happiness, hope and serenity. Any time we can draw our attention to what we are thinking, which is often negative, we can now challenge these thoughts and alter our actions, hence the results in life. We ultimately choose the path of our destruction or our triumph based in the examination of our inner lives. Siddhartha Gautama knew the importance of this inner life examination by meditating deeply on his experience of life, determined to seek the truth. He did achieve “enlightenment” and became The Buddha, a spiritual leader and teacher whose life serves as the foundation of the Buddhist religion. Buddha’s wise teachings help us to reflect on our inner lives, achieving a deeper knowing of ourselves. This self-awareness can lead to positive change and growth. 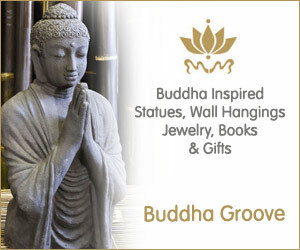 So in the spirit of Buddha, take a deep breath and reflect on his quotes to see if anyone of them strikes a chord. If it does, you can journal about it and even put it into practice in your life. But, above all, take time each day to become aware of what you are thinking and how it is impacting your life. Which quote resonates with you the most and why? Let us know. We would love to hear from you!